Design workshops are workshops designed to allow Customers to visualise their ideal product/service and shape it in the way they want it to be. 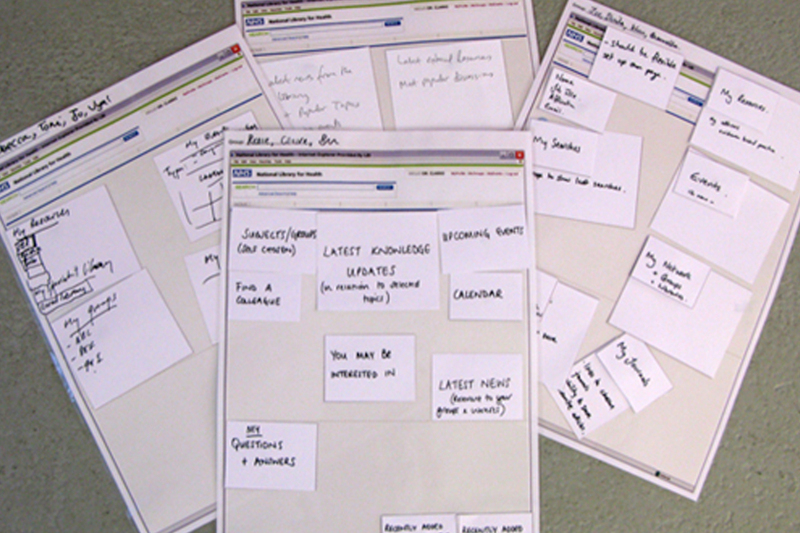 It would be more valuable if the workshop is facilitated by a Designer as they can help users visualise their ideas. The success of this type of workshops depend on the tools used to facilitate it. Design Workshops works best following a Participatory Design process (when the same customers are involved in all the different phases of the project). That process help them understand more about the field of analysis, let them become more engaged with the project and leave them with more time to think about solutions. If that approach is not possible it is anyway really important to structure the workshop in order to allow the customer to understand the context of research and feel comfortable to start envisioning it. During the workshop, customers dream about that product/service, build scenarios of use, and sometimes also quick prototypes. Participants can start building a conceptual model of their ideal service by selecting the type of information they are interested in. Scamps can help them envisioning their ideal future service. The draft appearance of scamps make participants feel that they can contribute in changing our first draft proposal. The use of different paper size has been inspired by Bruno Munari approach to Design. It has proven to be a really successful way to get participants to start thinking about interface constrains. Transparent sheet can be used to allow participants to play with content and shape without feeling they can’t change their mind over time. It made the prototype look more open to changes.